AVON, Eva Elizabeth Surrounded by her family, Eva was called home by the Lord on April 12, 2019 in her 92nd year at St. Peter's Hospital in Hamilton, Ontario. Beloved wife of the late Albert Avon (2009). Cherished aunt and adopted mother, grandmother and great- grandmother to Gord and Debbie Hamilton of Burlington and Rebecca (Adam), Brooke and Aubree Szajkowski of Stoney Creek. Survived by her sisters Esther Hamilton (St. Catharines, ON), Martha (Ralph) Russell (Campbell River, BC), Alice Martin (Niagara Falls, ON) and her brother Roy Mercer (Upper Island Cove, NFLD). She leaves many nieces and nephews across Canada and abroad who adored her. Born to Elijah and Willhemina Mercer in Upper Island Cove, NFLD she was one of thirteen brothers and sisters. As a young woman she moved to Hamilton, Ontario and worked for the Hamilton Children's Aid as a cook and matron. She then started her career in hairdressing where she worked for a few salons in Hamilton and Ancaster. 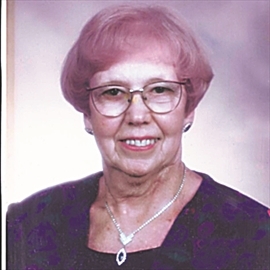 A longtime member of St. Stephen on the Mount Anglican Church Eva was awarded the Order of Niagara for her dedication and service to the parish and community. Eva was loved by so many and will be dearly missed. A special thank you to the wonderful staff at 7 East Acute Care at the Hamilton General Hospital and also St. Peter's Hospital 3 East for your compassionate care and support. Visitation will be held at Clarke's Funeral Home at 567 Upper Wellington St., Hamilton Ontario Monday, April 15 from 6 to 8 p.m. A funeral service to be held at St. Stephen on the Mount Anglican Church at 625 Concession Street, Hamilton Ontario on Tuesday April 16 at 2:00 p.m. If desired a donation to Mission Services of Hamilton would be appreciated.